Kael Thomas’s professional career spans back twelve years, when he graduated from Starfleet’s advanced engineering division in 238010.12. He was first posted as an engineer on the USS Victory and also served as Acting Chief Engineer and Security Officer. Over the course of his Starfleet career, he has served on eight different vessels and one space station, holding five different titles. Kael has a wide range of experience, which entailed holding the positions of Chief of Operations, Security Officer, Engineer, Chief Engineer, and First Officer. When not on duty, he often spends time in the holodeck or in the gym to stay physically active. In addition to past times such as white water rafting, the engineer also enjoys playing the piano. 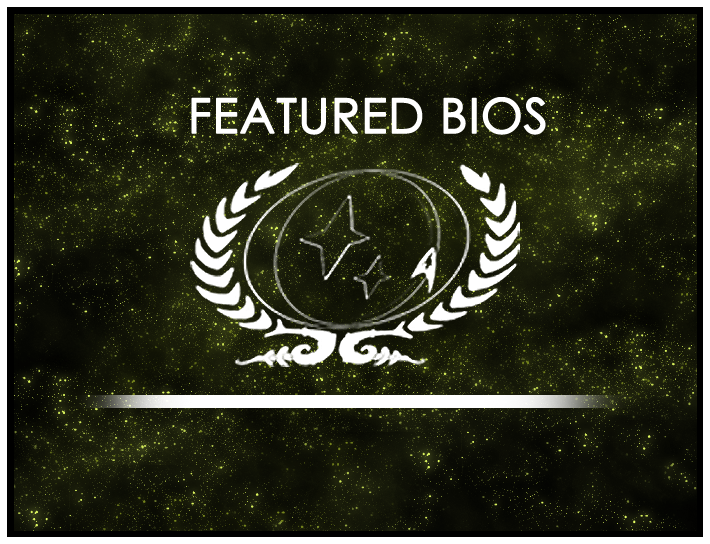 Congratulations to Kael Thomas of the USS Columbia who has been selected as the Featured Bio for February, and Tyler Kelly, this round’s featured nominee!